According to an FAO-UN report, agriculture is the largest source of livelihoods in India. Almost 70 percent of the rural population depends on agriculture for their daily bread and butter. The report also states that our country is the largest producer of milk, jute, and pulses; followed by rice, wheat, sugarcane, cotton and fruits, which are staple foods. Despite being a major pillar of India’s socio-economic development, the agricultural sector’s contribution to our national GDP is decreasing, and is projected to go further go down to 6-7 percent by 2020. Over the years, we have witnessed several farmers’ protests and suicides due to staggering debts and crop damage. There is a massive contrast between the prices what we pay for the agricultural produce and the end amount what the farmers receive. This is because farmers lack the know-how of marketing and financing their products to achieve competitive pricing. 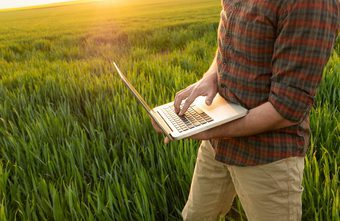 Another reason is that farmers are unaware of the latest technologies and processes that can help enhance their productivity. At times, farmers do acknowledge the effectiveness of advancements in irrigation, crop production, pest control and more. But they often do not have the finances to afford these improved methods. It is difficult for an agriculturally driven economy to thrive under such dwindling circumstances. So, the sector needs professionals who can manage, improvise and innovate to overcome the adverse industry challenges. This is where the concept of ‘Agripreneurs’ comes into the picture. ‘Agricultural Entrepreneurs’ strive to upgrade the existing scenario of agribusiness and agri-allied sectors. They have a growing importance in agricultural expansion as they work to achieve the objective of “better farming by every farmer”. Such individuals are the pioneers that the ‘Symbiosis Institute of International Business’ aims to create. At SIIB, we have carefully curated an exclusive MBA programme for Agribusiness Management. With this unique specialization, we aim to help students identify existing problems in agro-economies and come up with futuristic solutions that produce tangible results. As a part of this course, students learn how to handle finances, market the agricultural produce, manage logistics and monitor imports and exports – all parameters that will contribute to engineering the agricultural revolution and give it a business-oriented vocation. At the end of this 2-year full-time programme, students will thus emerge as qualified Agripreneurs primed with the managerial expertise to uplift the agro-industries they will be employed in, or lead their own global agri-ventures as successful entrepreneurs.